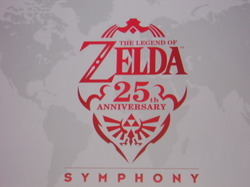 When asked by Kotaku about the Legend of Zelda Symphony’s 25th anniversary concert tour, Reggie Fils-Aime mentioned that during the North American leg he’d love to have a show or two based in Canada. Probably no love for our Latin American brothers and sisters, but hey – the True North’s a good first step. The concert is faster approaching than people probably realize – tickets for Japan-based concerts go on sale starting the 16th, and we know at least that some shows are planned for October based on the promotional materials we stumbled upon earlier. I know my wife and I plan to buy tickets for the inevitable Southern California stop (the gaming industry loves our region for some reason) – are you planning to go if they visit your area? Let us know in the comments section!